Yeyyy Silver! Awwww, not Silver?! So firstly after our LGW-RAK registered across the system we have hit Silver. This was our goal and have done it as leisure travellers on a little under 6 months. Obviously we've been keanly tracking things on the BA app and this morning we saw that whilst it still said we were Bronze the TP's had hit pushing us to 640 & easily within Silver. Thanks to you lovely people we also knew that the app is bloody useless at certain things and showing status/ correct next tier info is one of it's many faults. I've brought the laptop away with me though so after breakfast decided to login so I could see the shiny Silver banner etc etc. Crestfallen I saw the Bronze remains. Whilst I'd like to see this displaying correctly it's the end of the world however I then went to book some seats and despite the website saying i'm silver it still wanted us to pay for said seats. It's an existing booking and the OB seats were paid for back when we were Bronze but we decided we could wait to reserve the RTN leg for free. Is this why it's not automatically allowing us to do free seat selection, is it a bug on the website( rather than the app) or is it just being a b**ch and not letting me have my fun? ***additional: OB/ Silver awarding flight was sector 11 and all sectors have been flown on BA Metal. Lastly but by no means least Mrs Clam & I would like to thank you all for the help, guidance, knowledge sharing and corrections offered since I joined FT. You've taught us some great little tips n tricks & just in general made life flying a little more fun & enjoyable and for that we're both VERY grateful. Patience, it will transmogrify in a day or two. There are some notes on the timing you can find via the dashboard. aidy, adrianlondon and alex67500 like this. KeaneJohn, TWCLAM and kosy91 like this. 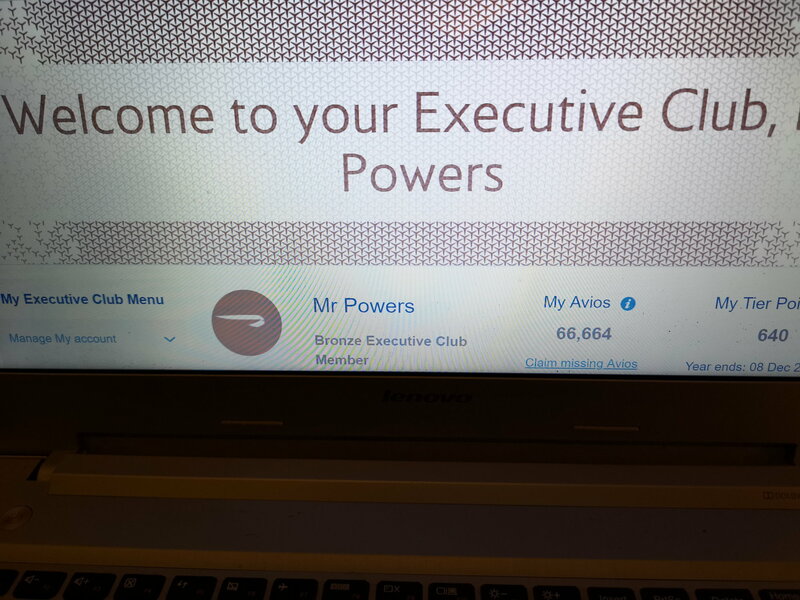 TWCLAM / Mr Powers - has no-one ever shown you 'Print Screen' or the 'Snipping Tool'...? I can't believe you've just uploaded photographs of a computer screen!! corporate-wage-slave, patersoj, nilsfr69 and 3 others like this. Is your first name Austin? I was just about to post the same question! alex67500, kaffir76, TedToToe and 2 others like this. Crestfallen I saw the Bronze remains. "Programs: BAEC-Bronze, AMEX-BA Prem' Plus & Standard, HH-Silver, IHG,"
@Wong Jnr - naturally showing status on FT IS the most important place! Don't want to do it till it's showing properly on BAEC though lest I get told im lying. To everyone else. The "Austin" question is one I may have been asked once or 20,000 times it's not though i'm sorry to say. Even once it updates to Silver you may find that you can't select seats for free on an existing booking. It just takes a call to the Silver line where I think they removed my BAEC number from the booking and then re-entered it, which refreshed its opinion of my status. I was then able to go online and choose my seats - they did offer to do it for me but I wanted to look at the availability on screen. Oddly this was necessary for one of the (I think) three existing bookings I had; the other two worked for seat selection without intervention. Go figure. Even once it updates to Silver you may find that you can't select seats for free on an existing booking. Coincidentally, I flew Monday evening and got the tier points I needed to make Silver before my collection year ended today. Phew - just made it! 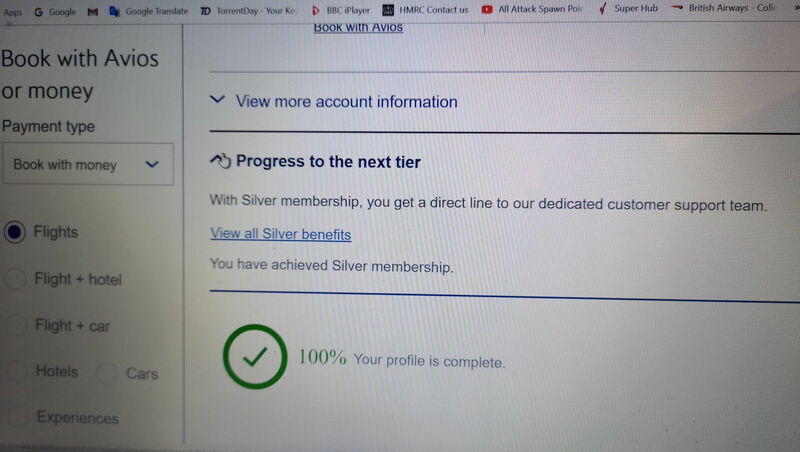 Anyway, the tier points credited yesterday but the website still said I was bronze (although, as shown above, it does say "You have achieved silver" elsewhere on the page). Today, the website and app updated my status and I went into the two short-haul Y bookings I have next month and selected the emergency exit seats for both. So the bug you mention does appear to have been fixed. Or, more likely knowing BA's IT systems, it's temperamental. Your Silver will appear in a day or two, still waiting for my bag tags and physical card from 5 weeks ago though.